Wimbledon is perhaps the most well known and prestigious tennis tournament in the world—and certainly one of the top four. If you’re not a tennis fan you may have found yourself a bit of a loss for something to talk about with any tennis-loving friends or family when June/July rolls around and the covers come off at the All England Club… but I’m getting ahead of myself. This artcile is a handy guide that will give you all you need to know about Wimbledon to seem like an expert. Or at least knowledgeable. A brief overview for the complete Wimbledon novice. Wimbledon is a tennis tournament that is referred to as a Grand Slam. It is one of four major tournaments that take place throughout the year. These four tournaments represent the peak of professional tennis, offering the most prize money and the most ranking points. 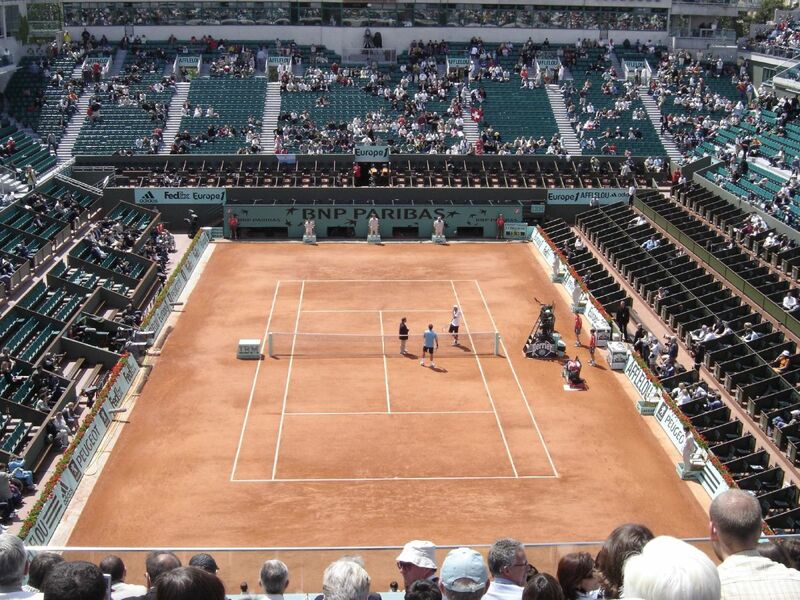 Each of these Grand Slam events are held in different countries and on different surfaces. 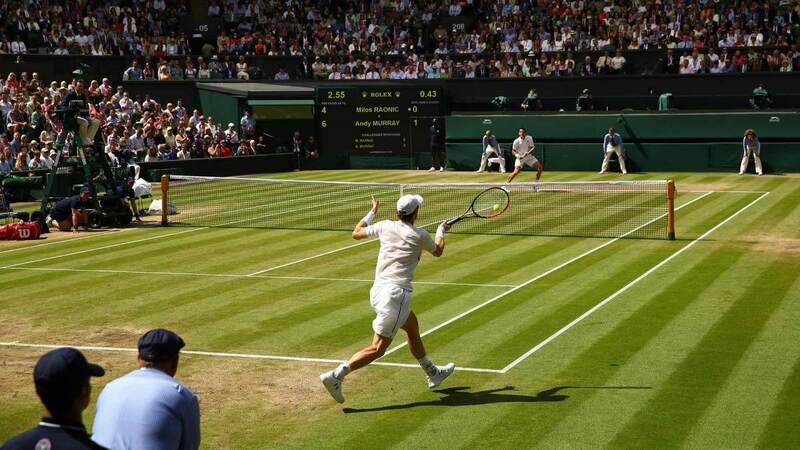 Wimbledon takes place in London, England, and is the only Grand Slam event tournament to be played on grass. Many consider Wimbledon to be the most prestigious crown to win in the game of tennis, largely due to its long history, tradition, and its links to the earliest origins of tennis. Because Wimbledon has a LOT of history. The inaugural Wimbledon tournament tournament took place in 1877, and is recognised as the first official tennis tournament in the world, though back then it was called “Lawn Tennis.” The tournament took place at the All England Croquet and Lawn Tennis Club, and was devised as a means to raise money to repair the equipment used to roll the lawns at the club. By 1882, the All England Club was almost exclusively about Lawn Tennis, and in 1884 Ladies’ Singles and Gentlemen's Doubles were added to the event. It would be 1913 before the All England Club saw Ladies’ Doubles and Mixed Doubles competition, however. Many of the rules remain broadly the same, however there have been some significant changes over the years. One such change is that, until 1922, the defending champion had only to play in the final, whereas the challenging players had to progress through the tournament proper. Despite being a quintessential British tournament, Wimbledon has had little success with homegrown talent in the Gentlemen’s Singles. In fact, since 1910, only two British men have triumphed at the All England Club, and until Andy Murray won the title in 2013, there had been a 77 year title drought stretching all the way back to Fred Perry’s 1936 victory. 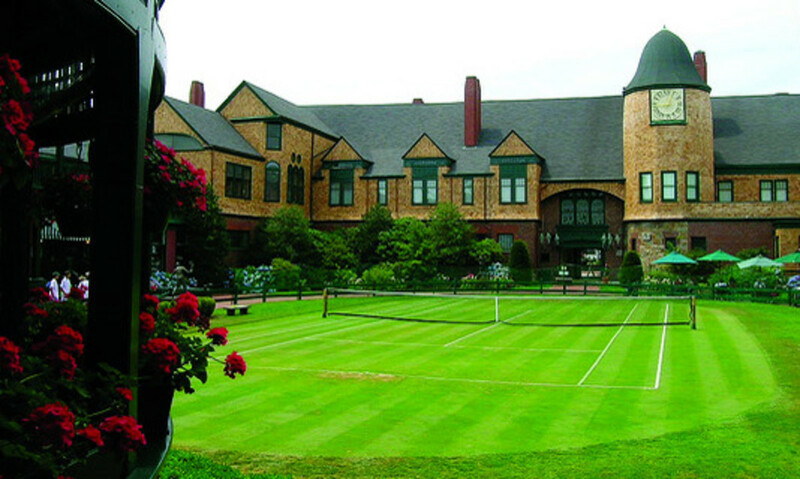 Up until 1968, Wimbledon and the other four “Majors” were contested only by amateur tennis players, with professional players being prohibited from entering. The move to allow professional players to enter the major tournaments heralded the beginning of what is called the “Open Era” of tennis. 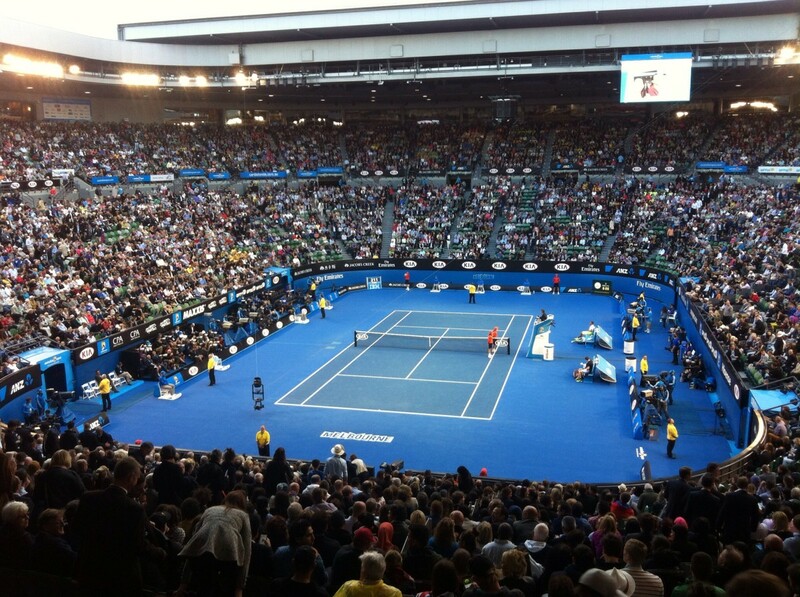 The year 2009 saw the addition of a retractable roof on Centre Court in an effort to limit delays caused by the weather. The first matched to be played entirely underneath the roof took place between Stanislas Wawrinka and Andy Murray on June 29 of that year. Andy Murray was also involved in the latest Wimbledon finish in 2012 (made possible by the roof), finishing his match against Marcos Baghdatis at 11:02, and the first Men’s Singles final to be played under the roof in the same year against Roger Federer. From Men's Singles to Ladies' Wheelchair Doubles, it's all here. Quick-fire facts to impress your tennis friends. Now, all this information is all well and good, but the history of Wimbledon and how many teams compete in the Senior Gentlemen’s Invitational Doubles isn’t the kind of knowledge you need to know in order to look like you're a Wimbledon aficionado. You need good, solid trivia. Here are some interesting tidbits about tennis’ most prestigious competition. At the 2010 Wimbledon Championships, John Isner and Nicholas Mahut competed in a first round match that would go on to become the longest match ever played in a Tennis Open. The match took place over 3 days and took 183 games to complete. Both players surpassed the previous record for number of aces in a single game during the match, which Isner eventually won. Wimbledon is the only Grand Slam to enforce a dress code on its players. It is required that any player entering the tournament must dress “almost entirely in white,” with disqualification a possibility for players who do not adhere to the rule. Though just winning the Wimbledon Championships is considered one of the highest achievements in tennis, some players have had more success than others. 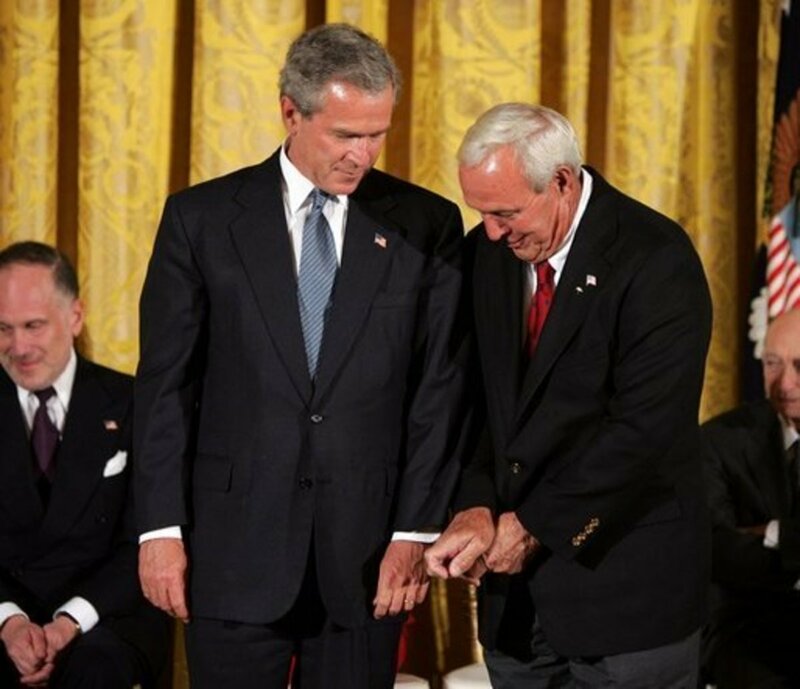 Martina Navratilova holds the record for most Ladies’ titles with nine, while William Renshaw, Pete Sampras, and Roger Federer are all tied for most Gentlemen’s titles with seven. While Roger Federer is forced to share his current record of seven Wimbledon titles (for now at least), he holds the record for reaching the most Wimbledon finals all by himself. Federer has competed for the trophy an impressive ten times in all. 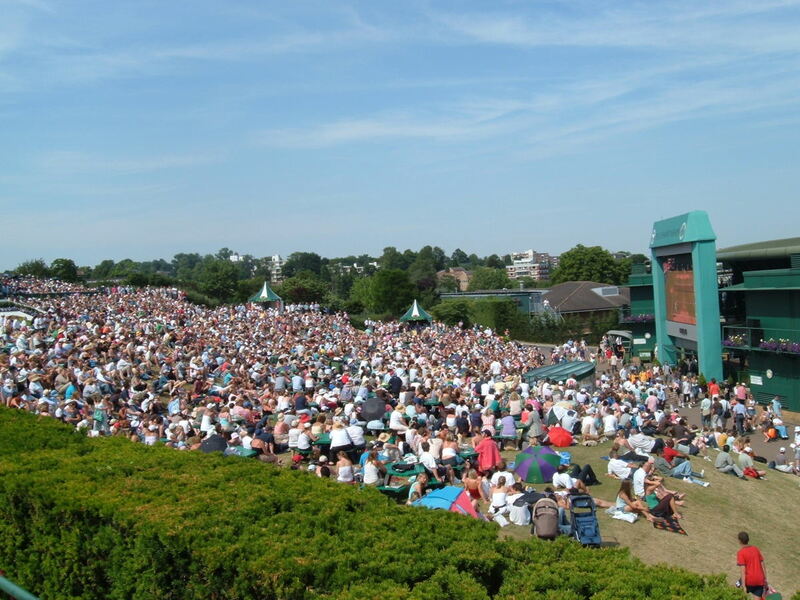 Aorangi Terrace, a grassy area within the Wimbledon grounds, is colloquially known as “Henman Hill,” named after the British tennis player, Tim Henman. Starved of a British champion, Henman was considered the best hope for a homegrown Wimbledon champion, and fans who could not get into Centre Court to see him play would sit on the grassy area and watch the match on a large screen that was installed there. 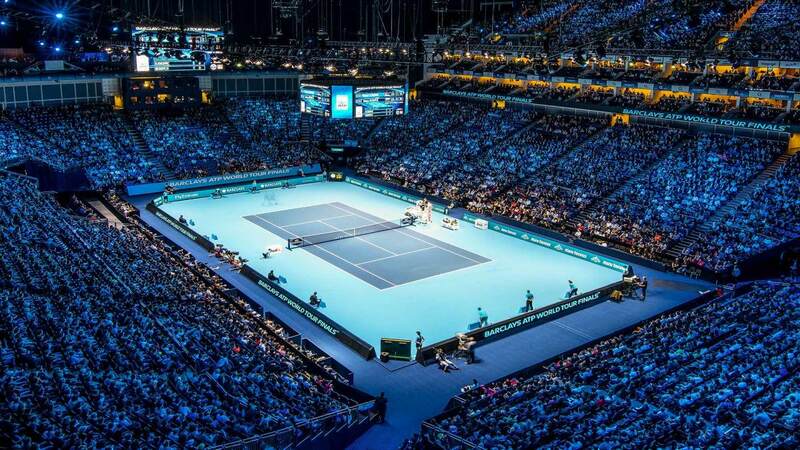 This area is sometimes referred to using names of other players, such as “Murray Mound” for Andy Murray, “Robson Green” for Laura Robson, and “Heather Hill” for Heather Watson, but “Henman Hill” is still the most popular name even now, years after Henman’s retirement. 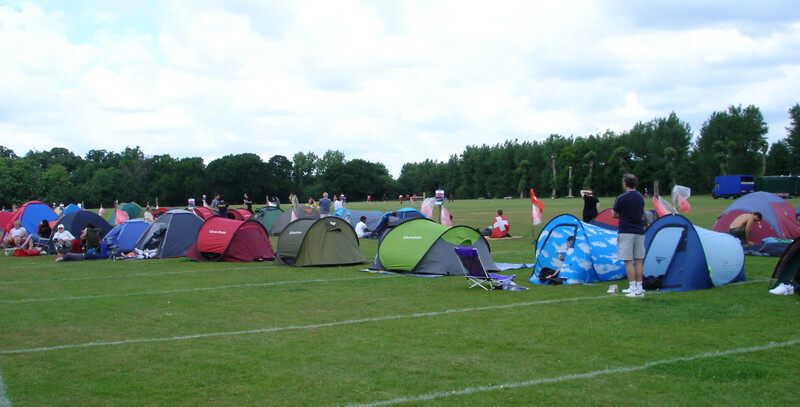 In terms of sheer bodies at the event, Wimbledon is the largest tennis tournament in the world. Over half a million people attend the two-week event each year. Traditionally there is no play on the middle Sunday of the Wimbledon Championships, the only Grand Slam to have such a schedule. On occasion, however, rain delays have forced event organisers to abandon this tradition in order to make up for postponed matches. Many things are associated with Wimbledon, but perhaps the most notable (or notorious) are Pimm's liqueur, strawberries, and large hats, all of which are out in force during the two weeks of the Championships. A ready-made cheat sheet that you can use to look like an expert on tennis' oldest competition.